I can’t possibly send out my weekly newsletter without making an announcement about the birth of my new baby granddaughter. She was born on the morning of 5th September and weighed in at a healthy 3.15kgs (that’s 6lbs 15oz for the less metric amongst us) and all the family are over the moon. 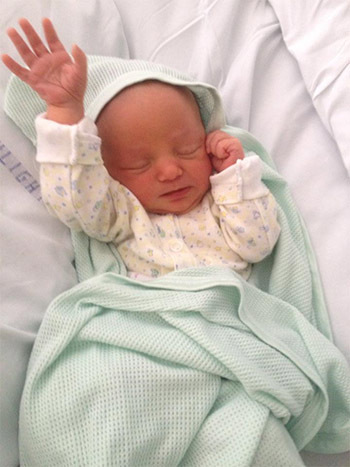 So welcome and ‘High-Five’ to the world, little Josefina! This week also graced us with a super moon. The full moon in Virgo – a Harvest Moon, giving us the brightest light and closest to the Autumn Equinox . Confusingly it is also called ‘The Pisces Moon’, which symbolizes the subtle realms beyond our sensual knowledge. The Moon comes full in the sign opposite to where the Sun is. Virgo, the Virgin and Mother, is fulfilled in Pisces, the realm of the Collective Unconscious and the source of the Unity of Life. Just as we dissolve in the cosmic ocean and become one with all of creation, we are reborn there as well, into the intuitive and spiritual. While the Sun is in Virgo, we are drawn to take stock of our lives, get rid of the things which we no longer need. The combination of organised Virgo, and its opposite shadow of intuitive rather chaotic Pisces gives us the opportunity of seeing what needs to be completed, perfected or organised as the year begins to wind down. Having spent the summer enjoying the sunshine it’s time to prepare for the chill of autumn, the harvest and the darkness. Virgo’s skill is to integrate our newest experiences into our character. This is the time to ask how we lived our values and our passions this year? What needs changing? How balanced and aligned with our goals are we? Can we ‘tidy up’ and let go of the things we have become attached to, to allow grace to bless us with something new? So the Virgo Sun shines in the mirror of the Pisces Moon and we look to find the answers to our question at harvest time, what will we feed our souls from the harvest? Just like the farm land surrounding me, I’m gathering in, turning over the ‘crop’ and planting seeds for the future. My diary is filling up with events for the Autumn and Winter months. I’m delighted to be offering talks and workshops in CARDIFF, LONDON, and OMAGH during October and November – check the website for details and booking.